Providing the best care to our clients and patients at all times is our priority and in order to ensure that this is what we deliver both now and in the future we have recently reviewed our methods for providing care for your pet Out Of Hours. After careful consideration, we have decided to partner with Vets Now who specialize in providing dedicated out of hours care at nights and weekends to help us with providing out of hours emergency cover. Vets Now have operated an emergency clinic in Southampton, Winchester and Salisbury for some time now and we trust they will provide you with an excellent service. As you will be aware, until recently, all of our Out of Hours emergency cover was provided by our own vets and nurses here at the practice on an “on-call” basis. This allowed us to ensure that you, our clients, received a consistently high standard of care at all times from our own vets and nurses. Unfortunately, our vets and nurses can sometimes work 70 hours a week, if they have a busy night or weekend, which can have an impact on their ability to provide you with best care during the day due to lack of sleep. We believe that working with Vets Now will allow us to ease this situation. The Vets Now clinics are staffed by vets and nurses who only work Out of Hours and therefore are fresh and ready to deal with emergencies at night, weekends or bank holidays. Vets Now have suggested that you think of them as the pet equivalent of the A&E department of a hospital! Using the Vets Now service is straight forward. If you require Out of Hours assistance simply do the same as you are doing now. Call us on the usual practice number and listen to the message that will give you the emergency contact number which will either be our own or Vets Now. If it is a time when Vets Now are covering for us you will have the choice of the Southampton, Winchester or Salisbury centres. When you call Vets Now their trained receptionists, nurses or vets will be waiting to help. If required you will be advised to visit the clinic where the emergency team will see you. They will also be happy to talk to you over the phone if you are just wanting advice. They are a dedicated out of hours service only open at nights and weekends and bank holidays. They provide round-the-clock cover and so are able to care for hospitalized patients all through the night and weekend. They provide us with detailed clinical notes promptly after your visit ensuring excellent continuity of care. They are dedicated to emergencies, so have a breadth of experience and training. 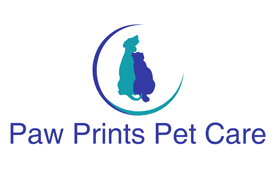 In addition to providing emergency care, they will happily provide you with free of charge telephone advice at any time of the night if you are worried about your animal(s).